During the first three installments of the revived Star Wars franchise, Lucasfilm was unstoppable, with hit after hit that grossed over $1 billion each (with one grossing over $2 billion), while earning widespread acclaim. All that came to a screeching halt with Solo: A Star Wars Story flopping, forcing the studio to reassess all things Star Wars, resulting in the cancellation of a very intriguing anthology movie set on Tatooine. Prior to the debacle that was Solo, Lucasfilm was all in on rapidly expanding the Star Wars franchise in an aggressive manner. But once it was forced to self-reflect and accept that just because a movie with the Star Wars name is used, it doesn’t mean it’ll be a hit. 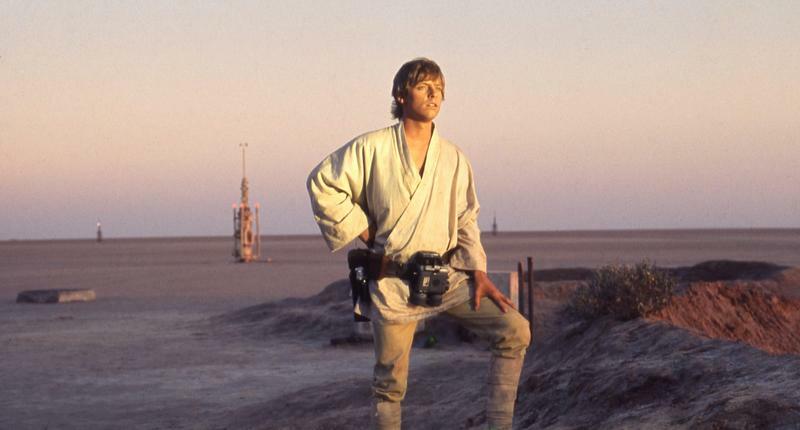 Unfortunately, that meant that a lot of intriguing movies were canned, including one that aimed to flesh out the history of Tatooine, the planet Anakin Skywalker was born and Luke Skywalker raised. Until now, rumors floated about this movie happening, but in a new interview with CinemaBend, Solo production designer Neil Lamont confirmed the news. Lamont did not get into more details but what he did say really intrigued us. It sounds as if Lucasfilm was ready to explore every nook and cranny of the universe in Star Wars, but its enthusiasm was curtailed after Solo’s disappointing performance. While I agree with Lucasfilm taking a more measured approach with Star Wars, that shouldn’t stop it from exploring rich, new stories. Solo failed because the story was not that interesting—we don’t want to learn about Han Solo’s boring origin story—and the movie ran into immense production issues with the firing of its original directors that ballooned its budget to exorbitant levels. It’s a shame the failure of one movie ended the opportunity to see new Star Wars stories set on new worlds. A movie set on Tatooine would have been very interesting. Maybe Lucasfilm will revive the idea in the future, but for now, it doesn’t look like it’ll happen.